Montemagno announced his cancer diagnosis in June, but kept a busy schedule during what he called aggressive treatment for the disease. He died Thursday morning. 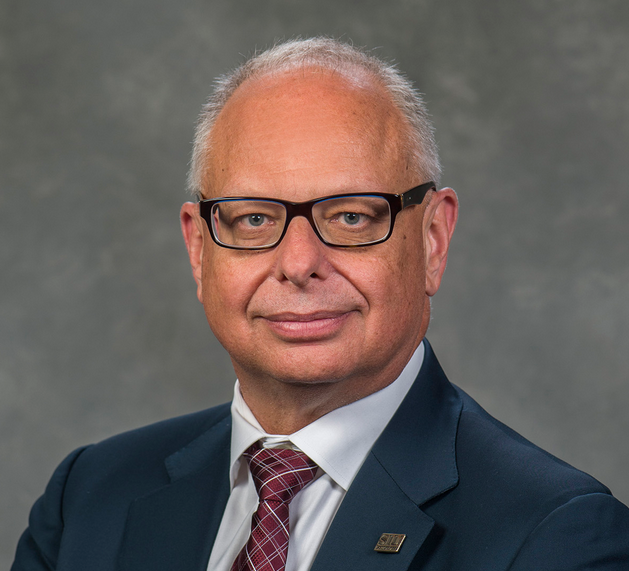 In a statement, SIU Board Chair Amy Sholar said Montemagno's contributions to the university will be felt across the system. "Before coming to SIU, Carlo was known as an international expert in nanotechnology and biomedical engineering. While at our Carbondale campus, Carlo served as an innovative administrator and he will be remembered for the care and devotion he held for our students and in promoting their education to be our next generation of leaders. He will be greatly missed." Trustee Marsha Ryan echoed Sholar's comments, saying Montemagno was focused on moving SIUC forward. "He worked tirelessly for the benefit of the campus, bringing all his considerable energy to bear every day. And he will be greatly missed by the campus and the system." Montemagno was continuing work on his campus reorganization plan. In an interview with WSIU's Jennifer Fuller this week, he talked about the need for a positive environment on campus. "It's so important that individuals who work here - whether they're faculty or staff, or students who come to learn here - that they feel they're at a winning institution, that they're at a place where they can expand their own horizons and learn how to do things and experience things that they wouldn't normally do." Faculty-Senate President Jonathan Bean says the provost had taken the lead on reorganization for the chancellor the past few months. So, he's confident it'll move forward. "There are areas of the campus where there are faculty negotiating with the administration over how they want to see reorganization take place. The discussion is about how and what type of reorganization will go ahead. It's no longer a question of IF reorganization will go ahead." Bean says it's a sad day for the campus, but he credits Montemagno with sparking a much needed conversation on campus about how to revitalize the University. Carbondale Mayor Mike Henry expressed his condolences, as well. He says Montemagno was working with community leaders to revitalize both the university and the surrounding area. Murphysboro Mayor Will Stephens says his loss extends beyond the Carbondale campus. "He certainly had a vision for the university that I think if implemented to its fullest extent, could've reaped great rewards for the area." State Senator Paul Schimpf (R-Waterloo) says he was saddened to hear of Montemagno's death, but intends to continue the work he started in reestablishing SIUC's prominence in the region. "During his short tenure as Chancellor of SIUC, Dr. Montemagno demonstrated visionary leadership and dedication to the well-being of all of Southern Illinois. Carlo will be missed terribly, but we will honor him by continuing his work to revitalize the university we love." Montemagno was in the midst of placing signs with SIUC's mission statement throughout the campus. He said that statement should be the guide for everything the university does. "Everything that we do gets measured against that mission statement. So, when we have to make hard decisions, we ask how does this add to our mission? How does this detract from our mission? And if it detracts, is there a way we can ameliorate it, and turn a loss into a win? But this is the direction we have to go." Trustee Joel Sambursky says he will always remember Montemagno's compassion. "Dr. Montemagno should be rightfully praised as a visionary, genius, engineer, and leading expert in nanotechnology, but I also got to know him as a good man who cared deeply for SIU. He is someone that I am thankful to have gotten to know this past year and I am better for having the opportunity to do so." Services have not yet been announced for Montemagno, who is survived by a wife, children, and grandchildren. University leaders say they'll work to continue operations on the campus until an interim chancellor can be named.